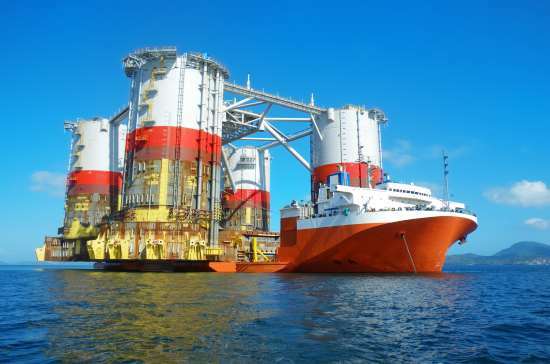 South Africa’s President Cyril Ramaphosa has described an offshore oil and gas discovery as a potential game-changer for the nation’s future energy security. French oil major Total last week announced that it had opened a ‘world-class’ oil and gas province off the coast of Mossel Bay at its Brulpadda block in the Outeniqua Basin. Other partners in the consortium include Qatar Petroleum, Canadian Natural Resources and Main Street. Ramaphosa was quick to comment on the discovery in his state of the nation (Sona) address on Thursday: “We are extremely encouraged by the report this morning about the Brulpadda block in the Outeniqua Basin, which some have described as a catalytic find,” he said. “We congratulate Total and its various partners and wish them well in their endeavours. Government will continue to develop legislation for the sector so that it is properly regulated for the interests of all concerned,” he added. The Brulpadda find is primarily gas-condensate and has been estimated at about 1 billion barrels by operator Total ASA, which could be enough to supply South Africa’s refineries for almost four years. South Africa’s Minister of Mineral Resources Gwede Mantashe said the find is ‘potentially a major boost for the economy’, particularly as Ramaphosa seeks to attract US$100 billion worth of investments by 2023 to revitalise the struggling economy.